Tottenham Hotspur have not won a league title since 1961. They have not won a cup since 2008. 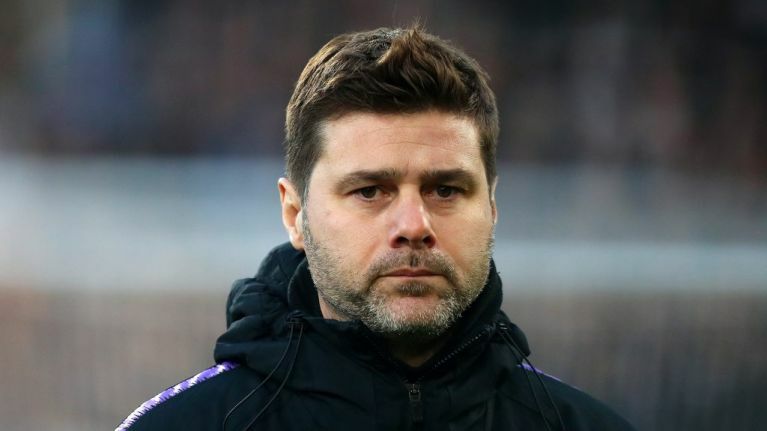 But since Mauricio Pochettino took over, they have finished 5th, 3rd, 2nd, 3rd and are currently third in the Premier League, just five points behind Liverpool. And they've managed that with a fraction of the budget that their rivals have had the luxury to spend. Despite this evident progress on the pitch, which stems from Pochettino, his tactical flexibility and his ability to improve raw talent, many of his critics point to the empty trophy cabinet. Many would claim that their progress will be in vain if the club don't win a trophy. That idea is nonsense, according to BT Sport presenter Gary Lineker, who spoke exclusively to JOE ahead of the Champions League's round of 16 ties. "No, I don't [think they have to win a trophy]," Lineker says. "I think that because they’ve done so well, that’s the next thing you’ve got to level at someone, but the truth is he’s got Tottenham punching above their weight. "They haven’t bought a player in the last two windows. They’re playing at Wembley that’s half full, because even the fans are fed up of Wembley now, they clearly want to get back to White Hart Lane. It’s cost way more and taken way longer than they thought. Despite all that, they’re still third in a very competitive Premier League and they’re in the last 16 of the Champions League. "So they’ve actually done really well. Obviously he wants to win a trophy, but he doesn’t have to win a trophy for us to say he’s doing a good job." Tottenham face a tough challenge in the form of Borussia Dortmund in the first knockout round of the Champions League, and they'll have to make do without star striker Harry Kane, who will be a huge miss. "Every club misses their star player," Lineker explains. "I think City are the only team who can probably overcome losing their best striker. If Sergio Aguero got injured, they’ve got Gabriel Jesus and so much other talent. But Tottenham without Kane, it’s a massive blow. It’s also the one position they’ve not got much depth in."